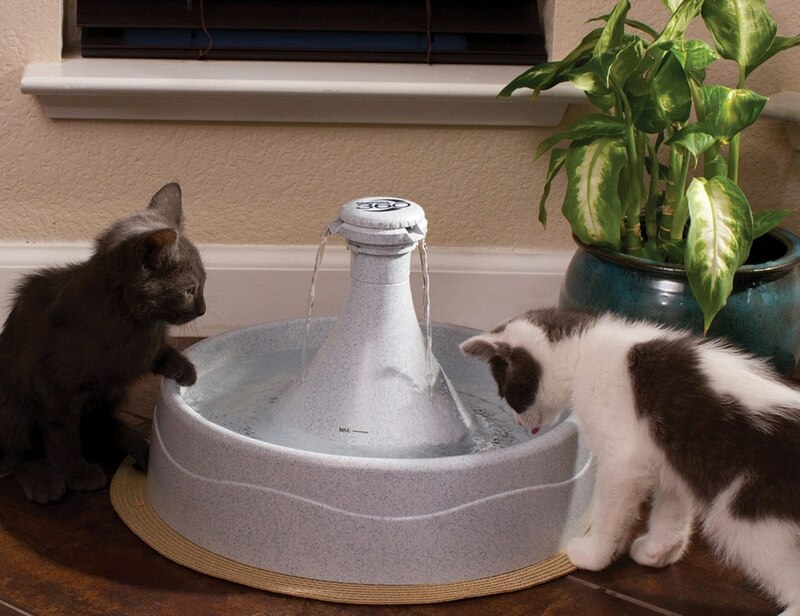 Drinking plenty of water is as essential for your pet’s health as it is for your own. 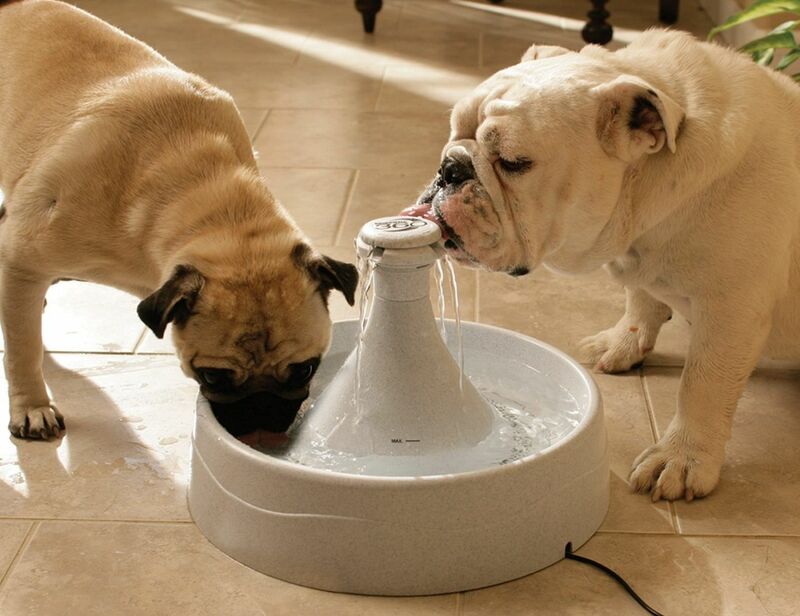 By providing a constant stream of falling water the innovative Drinkwell Original Pet Fountain makes drinking more attractive and fun for your pet as well as more convenient for you. 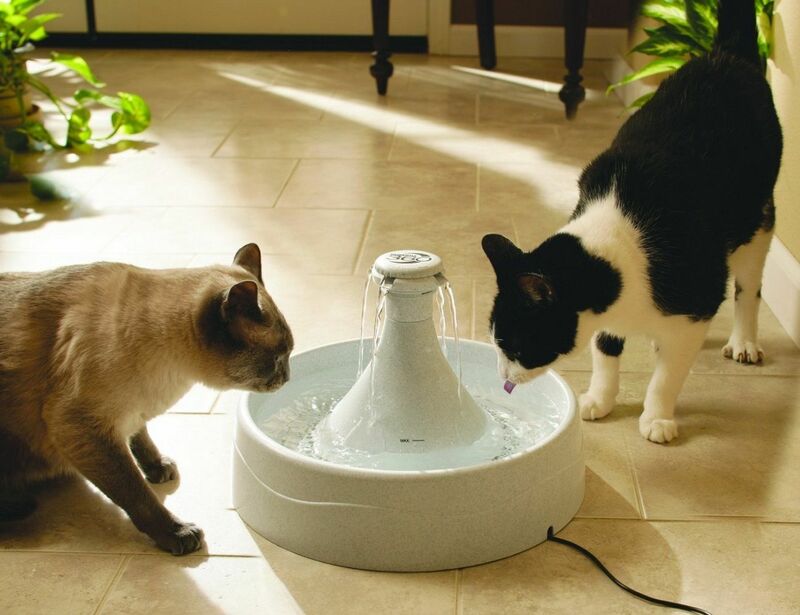 No longer will your pet have to slurp stagnant water from a traditional bowl or hop onto the kitchen counter to try to drink from the sink. 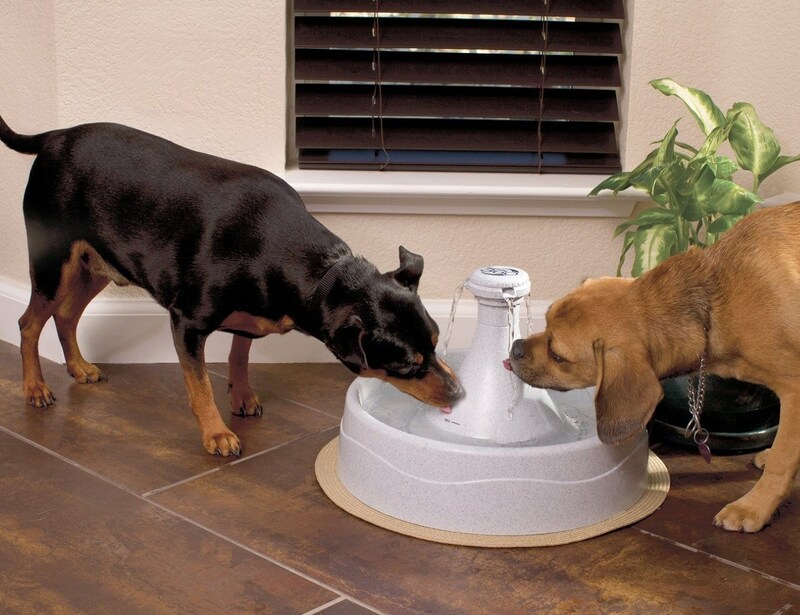 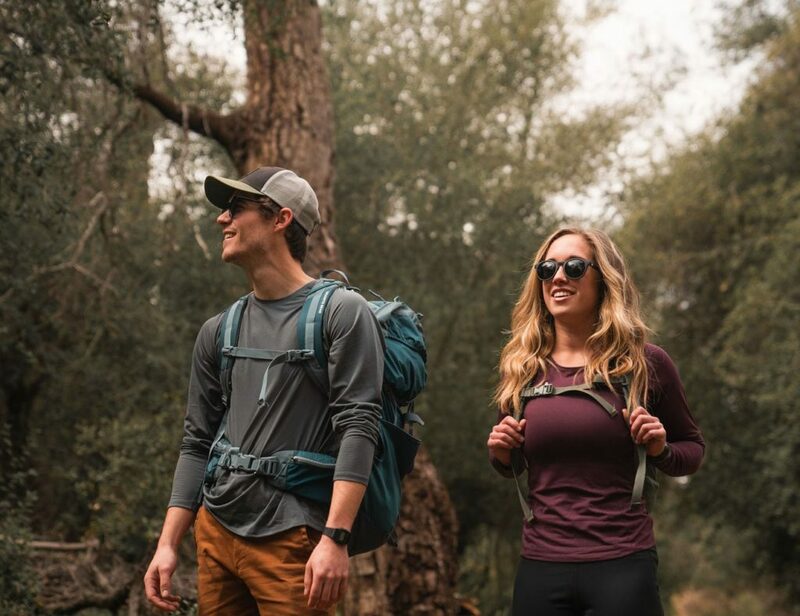 A patented 5-inch free-falling stream of water gives your pet a refreshing drink from any angle so she no longer has to wait her turn for a quick drink. 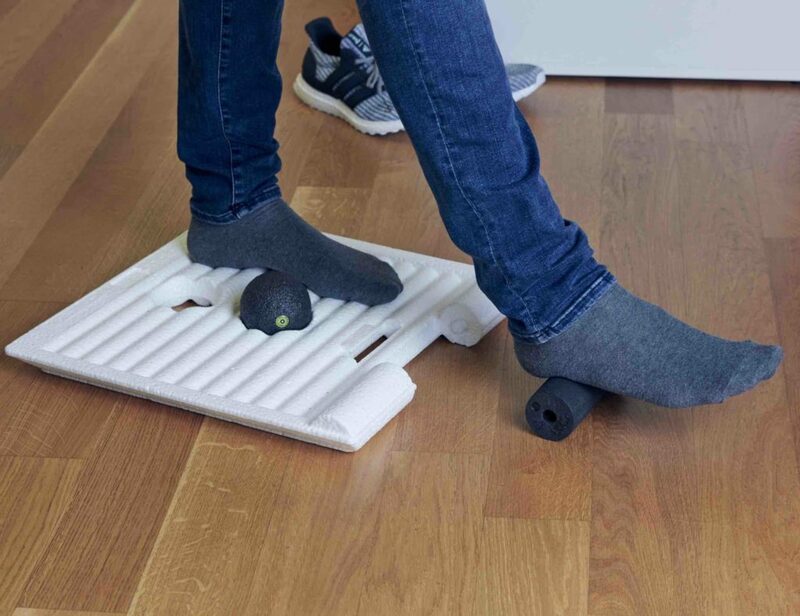 The replaceable charcoal filter removes bad tastes and odors. The pump is submersible to ensure nearly silent operation.